There's nothing quite like kids' hand-prints to preserve just how little they were as they grew up, which is why I fell in love with the idea of a family hand-print turkey! I can't wait to frame our turkey so I can pull it out year after year and remember how small (or big in the case of my 9 year old!) my kids' hands were in the year 2016. Look at the tiny purple hand of my 2 year old! We traced each of our hands on construction paper. Then I traced a cup for the body of the turkey and free-handed the neck/head and beak. 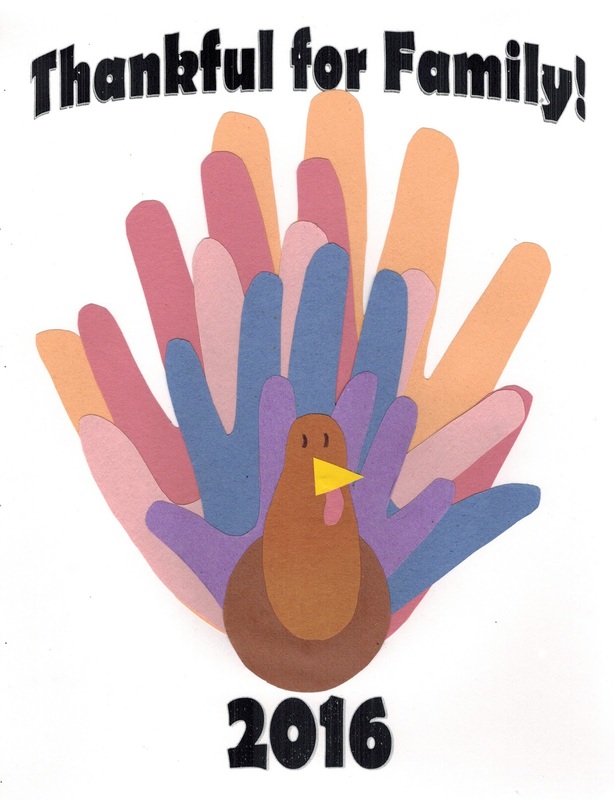 I printed out the "Thankful for Family" and "2016" on a piece of card stock and glued it all together. Thank you Mainly Homemade for the cute idea! I will treasure this for years to come. This looks so sweet! 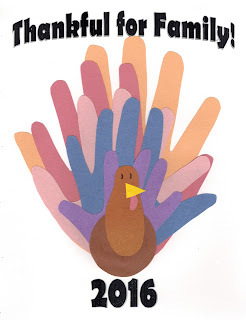 Most hand-turkey crafts have only the kids hand: I love that this one uses hands from the whole family! Very sweet.